The use of Unmanned Aerial System (UAS), more commonly known as drone technology, is now becoming more accepted as a tool to enhance monitoring and management of marine and terrestrial ecosystems. The Caribbean Aqua-Terrestrial Solutions (CATS) Programme recognises that this technology is vital to the management of marine protected areas of watersheds and has embarked on a regional capacity building technical support initiative in its partner island territories of Saint Lucia, Grenada and Dominica. To date, it has supported the training of marine and terrestrial officers in Saint Lucia. The Marine Protected Area (MPA) volunteers and staff of the Fisheries and Forestry Divisions of Grenada are now benefitting from this 5-day capacity building initiative, designed to enhance monitoring and management within Marine Protected Areas and watersheds. The 5-day initiative will feature training in manoeuvring of the UAS, safety and operational procedures as well as intensive exposure to aerial mapping techniques, processing, modelling and spatial analysis. The training is facilitated by Dr Kimberly Baldwin of Marine Spatial Information Solutions (MARSIS), based in Barbados. She also is a Research Associate at the Centre for Resource Management & Environmental Studies (CERMES) of the UWI Cave Hill Campus. Dr Baldwin was supported by Christopher Baldwin of Baldwin Photography. 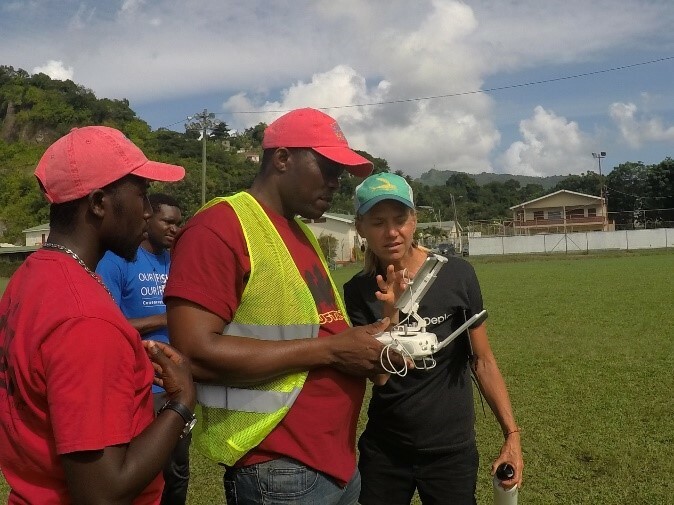 A certified drone pilot, Dr Baldwin has trained several technical officers within the Caribbean region in the UAS operation and data processing and analysis for environmental management and monitoring and has, and continues to develop tools and research documents on applications of UAS technology; Baldwin’s expertise is in the dynamic and creative use of UAS technology for capture of promotional photographic imagery in Asia and Australia, inter alia. By the end of the 5-day training, participants are expected to have a greater appreciation of the operation/manoeuvring of UAS, regulation and safety procedures guiding the operation of UAS, maintenance of the equipment, design and execution of mapping missions, processing and developing of reports of data collected from the mapping exercises, as well as the various applications of drone technology for environmental management and monitoring. The CATS Programme anticipates that this training will facilitate the effective and efficient management of the Marine Protected Areas in Grenada, particularly the Molinere-Beausejour Marine Protected Area, which is the focus area of the Programme. Notwithstanding, the training is expected to also benefit the Grande Anse and Gouyave MPAs and watersheds, forests and forests reserves within and beyond these watersheds. The training will continue in Carriacou from 10-14 December 2018, with focus there being on the enhancement of the monitoring and management of the Sandy Island Oyster Bed Marine Protected Area with potential for island-wide outreach. 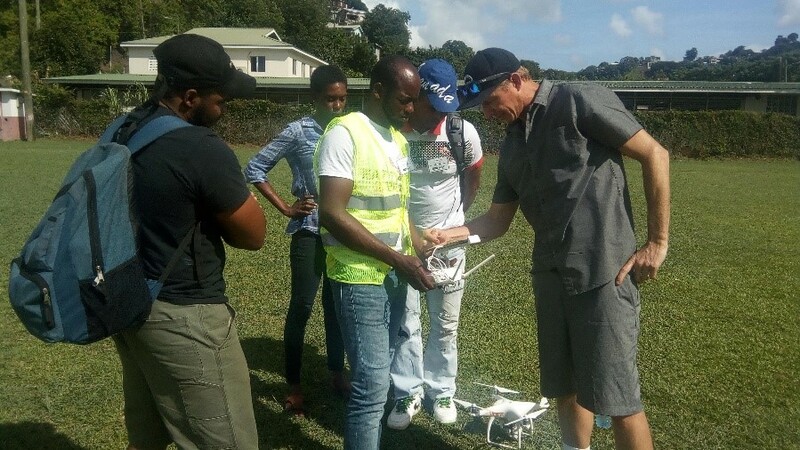 It is expected that both trainings will produce the first cadre of trained personnel in the handling of Unmanned Aerial Systems for ecosystem monitoring and environmental research. The programme will continue to work with the trainees, post this training, to support the development of outreach, monitorin, and management documents and other products to improve and increase management and awareness of the natural resources and facilitate informed decision making within the state and region. The Programme expresses gratitude to the Office of the Police Commissioner and all other agencies who have facilitated this most vital intervention.